Lots of great blues bands this week around town! 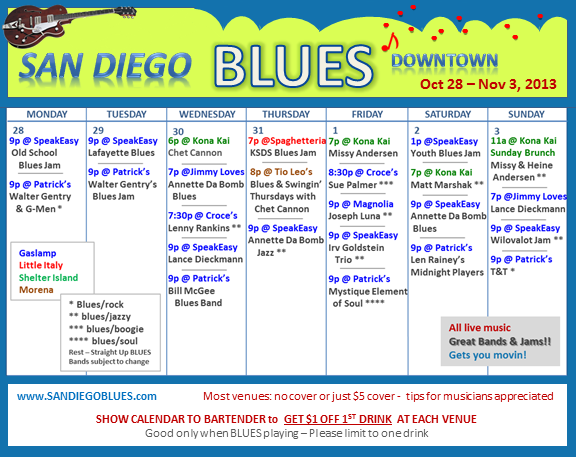 Look for blues jams happening on Monday, Tuesday and Thursday night. Print out this calendar (click on this post to print just the calendar). Then show it to the bartender when you pay for your first drink to get the $1 off!